After spending several months banged up in Sunny Banks rescue centre, Aubrey, a large tabby cat, has finally found his forever home with Molly and Jeremy Goodman and life is looking good. Today I am happy to share a review with you. Enjoy! I generally prefer to write in the mornings. If I leave it until later in the day, I tend to get distracted and before I know it the time has run away with me and I’ve achieved very little. I write at an old roll-top desk that I bought for about £20 in an auction. It’s a bit rickety but it’s got lots of little pigeon holes and drawers which are very handy for stuffing things in. By which I mean, the sort of things that I should probably throw away but keep hanging onto just in case they might be useful. The desk is tucked into a corner of a spare bedroom and although it faces a window there’s nothing much to see outside except buildings which is a good thing as it stops me daydreaming. No, I don’t really have any ritual other than to try to make myself write every day. Some days I’m more productive than others but I guess that’s just the way of it. I think most writers have to develop a will of iron as otherwise there’s always an excuse not to do anything. 3. Is there a drink of some food that keeps you company while you write? I don’t eat at my desk but I usually have a hot drink to get me kick-started. It’s sometimes ordinary tea and sometimes something a bit more interesting like peppermint tea with lime. Goodness, there are really so many. I love most crime books and probably favour the cosy side. 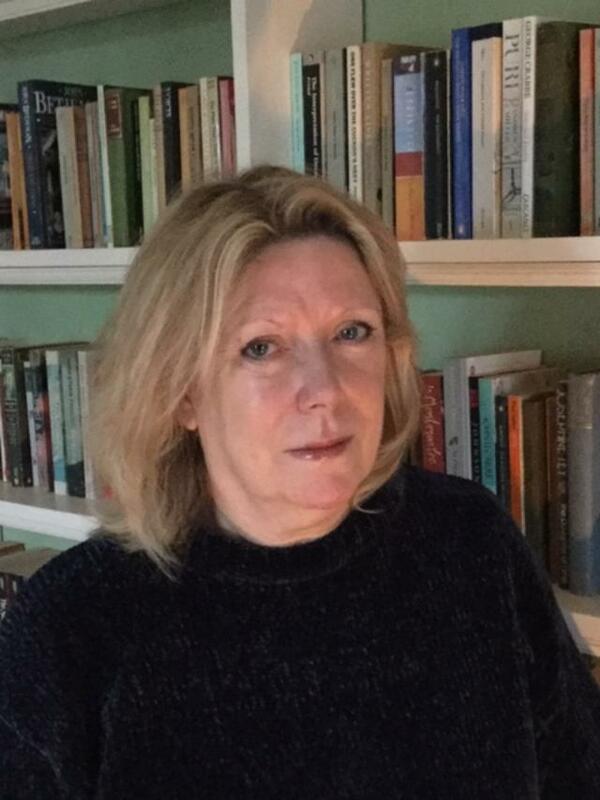 Having said that, I believe that Agatha Christie is described as cosy but when you analyse it there’s nothing very cosy about the way some of the murders are committed – including one book where the victim has his head stoved in with an axe. I also regularly re-read old favourites like Pride and Prejudice. I listen a lot on audio too, which I find very enjoyable and helps when I’m doing tasks like around the house. 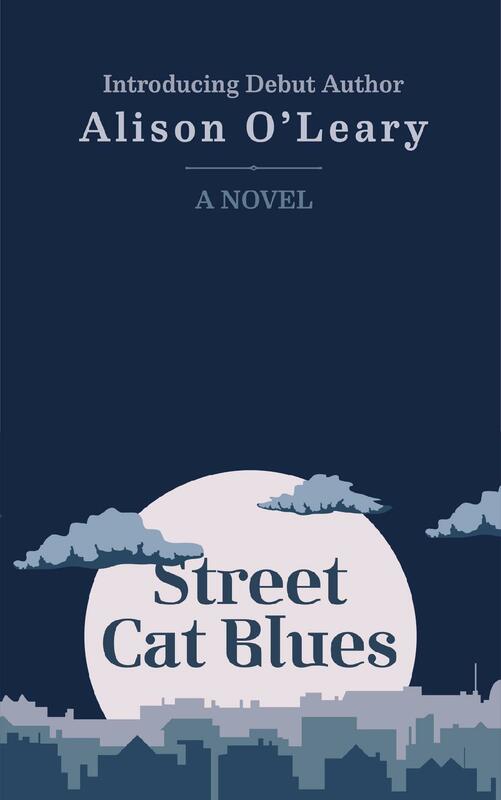 I very much enjoy reading psychological thrillers and in fact have one in draft which I shall probably return to when I finish the sequel to Street Cat Blues. I do, although not always consciously. It’s only later that I realise where they appeared from. For example, the characters of Rachel and Clive (whom Jeremy describes as a sanctimonious God-bothering twerp) were really an amalgam of some people that I’ve encountered. Fortunately, most people don’t recognise themselves! Yes, I do. The problem is that when I look at it later, I sometimes can’t remember what I was thinking about especially if I’m rushing. So, the other day I found that I’d scribbled down ‘table note – wouldn’t sit on a bus’. I have absolutely no idea what that means now. I must confess to not being keen on historical romance. Having said that, I wouldn’t always count it out. A good book is a good book and so many cross genres now that it’s not always easy to classify. If he were still alive, it would be P G Wodehouse because he would just make me laugh so much. He had an extraordinary talent with words. If I had the chance to co-write with a living writer it would probably be Sophie Hannah. I’ve heard her speak a couple of times and she sounds like the sort of person I could get along with. And, of course, I admire her work. I would probably choose Iceland or Greenland. Since I was a small child, I’ve had a fascination with cold countries and the sport that I was most keen on was ice-skating. When I first went on the ice, I found that I could skate straight away and for a number of years I was a regular at Queen’s Skating rink in London. I was in Brighton recently and, as I had an hour or so to kill, was tempted by the outdoor rink there. I’m sorry to report that my skills of yesteryear had completely gone, I could barely manage to stagger round. Oh dear. Thank you, Alison O’Leary and RachelsRandomResources. I was born in London and spent my teenaged years in Hertfordshire where I spent large amounts of time reading Agatha Christie novels and avoiding school. Failing to gain any qualifications in Science whatsoever, the dream of being a forensic scientist crashed and burned when a careers teacher suggested that I might like to work in a shop. Later studying Law, I decided to teach rather than go into practice and have spent many years working as a college lecturer teaching mainly Criminal Law to adults and young people. I live on the south coast with my husband John and cat Archie. When not writing I enjoy crosswords, walking by the sea and drinking wine. Not necessarily in that order.